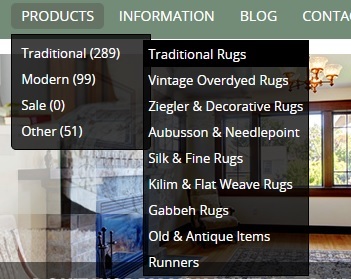 This tutorial explains how to display third level category menu opencart. For displaying the third level menus in the opencart categories we need to make some changes to the core file. This section explains what are the changes we need to make for displaying the third level subcategories as shown below. For retrieving the third level subcategory menu from the database edit the header controller file (catalog/controller/common/header.php).Open the header.php file and make the highlighted codes. This step edit you header.ptpl for displaying the menu in the header (catalog/view/theme/default/template/common/header.tpl ). Add the highlighted code. You also create a xml file in the vqmod folder and paste the following changes if you do want to edit the core files. hi, what if i want to add third-level-category in menu using opencart 3.0.2?? 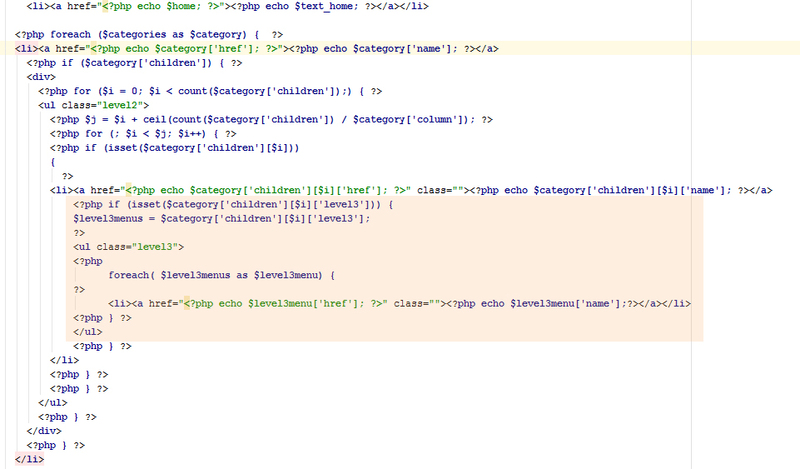 i cant find code that similar to this in header.php . I am so sorry, I am new using opencart. My code is based on opencart 2. But i am pity sure that you can find something similar in the controller/header file.